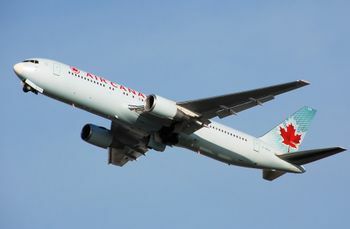 Boeing 767-300ER operated by Air Canada. The Boeing 767 is a medium/long-haul, wide-body twinjet airliner in operation by over 40 airlines throughout the world. It was the first wide-body twinjet produced by Boeing, in 1982, and over 1,000 have been ordered. This page lists all films that feature a variation of the Boeing 767. Pages in category "Boeing 767"